Have you stopped to reflect upon the goals you set yourself at the start of the year? Are you actually making progress to achieve one or more of your goals, or have things got out of control and you’re way off track? Here are my 5 reasons why it is good practice to review your goals on a regular basis. Reason 1: Do your goals remain RIGHT for your business? Consider why you chose each particular goal in the first place. Obviously you have a strategy but when you look at your goals now do they seem out of place? Make sure your goals reflect where you are going then plan how you will get there. Reason 2: Is there a DIFFERENT way to achieve your goals? Think about alternative means i.e. your goal is to market your business message via an e newsletter. Connect your newsletter provider to one or more of the social networking sites and you immediately open the door to a larger audience. Alternative methods allow you to adopt more flexibility in your approach. Reason 3: Are you “DOING” too much? Are you either overworked or underworked? Perhaps spreading yourself too thin as you try to achieve everything? Review your goals and work out a pattern of how, why and when you actively work to achieve these. Return balance to your work to stay on track. Make a few wise decisions and offload unnecessary “things” you’ve taken on. Concentrate on doing less to achieve more. Reason 4: Have your GOAL posts moved? In the beginning you set yourself short, medium and long term goals. Are you trying to progress too fast and find yourself marching headlong into your medium and long term ones, but neglecting those in the short term? Work in the NOW and focus on your short term goals. There is no point thinking too far ahead – the future hasn’t arrived yet and you can’t control it. 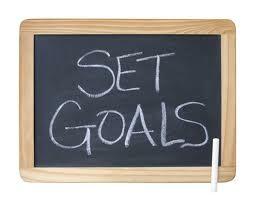 Reason 5: Re set REALISTIC and ACHIEVABLE goals. Step away from your business for a moment and look at what you’ve achieved to date. Have recent opportunities changed the course of your business? Thinking broadly will allow you to focus on getting back on track, possibly in an alternative way. Set aside time to review your goals at regular intervals throughout the year. A review provides you with a chance to reflect. And the end result? A fresh approach; with more clarity of thought and purpose, as you progress to achieve your goals.